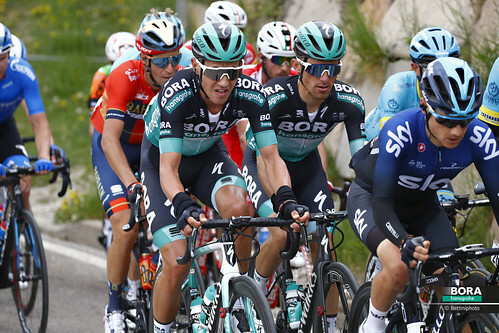 The final stage of the Tour of the Basque Country made for some explosive racing over 188 km of hilly terrain around Eibar. The parcours contained six categorised climbs, including two first category ascents. As expected, there were several attacks from the beginning, and eventually an 18-man group was able to distance itself from the main field. 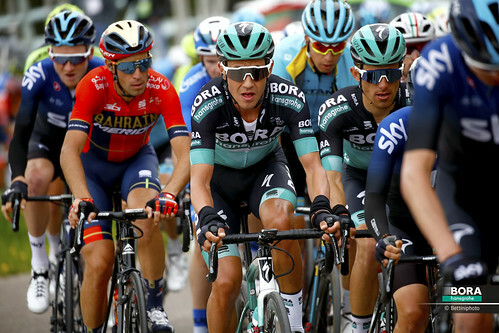 The peloton, however, rode at a very high tempo, and the breakaway was caught again relatively quickly. When a group of favourites attacked, Emu Buchmann attempted to follow them. Max Schachmann and Patrick Konrad were able to make it to their teammate from the third group, and together they took chase after the leading group of favourites. 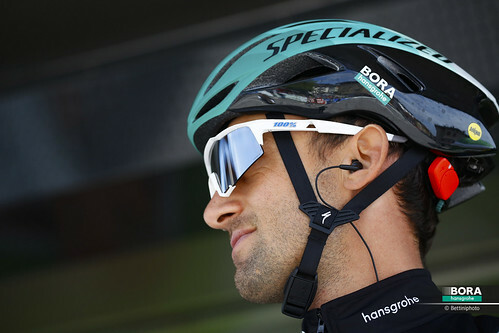 Although the three BORA – hansgrohe riders gave it their all, they were, however, unable to close the gap to the leading group, which sat at around a fairly constant 1:50. On the brutal climb to Izua, Max and Patrick ran into some difficulties, and Emu was left to pursue the leading quintet for some time without help. On the descent, however, Max and Patrick were able to bridge the gap to their teammate, but had to fall back once again a few kilometres later. 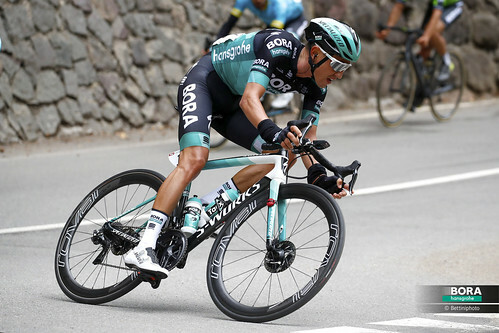 Emu tried to increase the tempo, and he was able to reduce the gap to the leaders slightly, however ultimately he was never able to bridge the gap. Shortly before the finish line, he was part of a group that was sent the wrong way by the race organisers, and as a result, he lost time. At that point, he would have sat in fourth place in the general classification. However, after the race organisers reviewed the result, Emu was awarded third place. 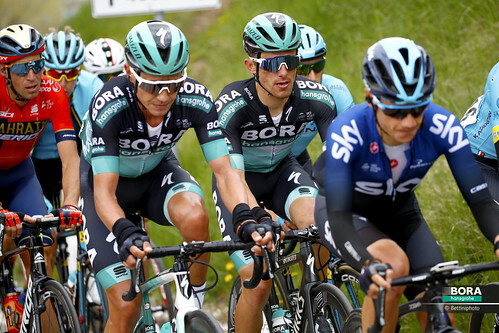 Teammate Max Schachmann, who won three stages of the Tour of the Basque Country, also secured the green points jersey at the end of the race.